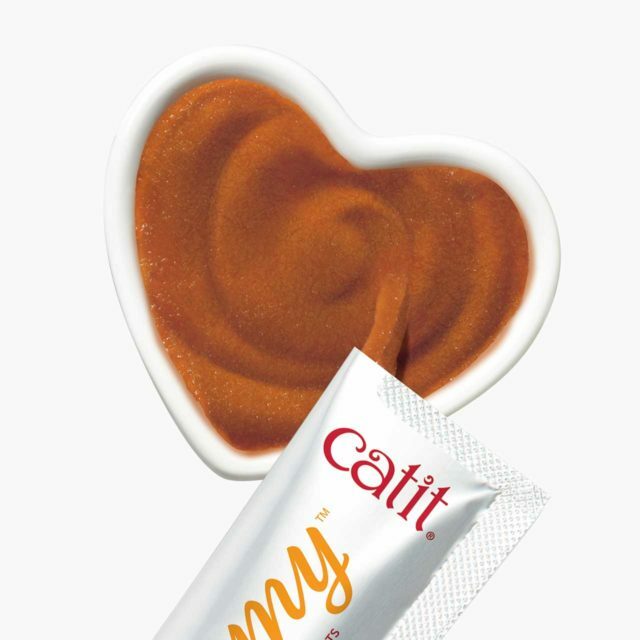 Catit Creamy does not contain corn, grain, wheat or soy. No artificial flavors, colors or preservatives are used either. 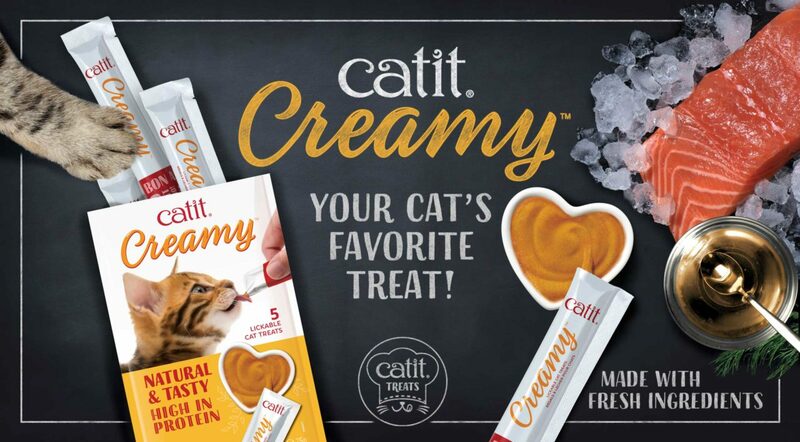 The treat has a limited set of ingredients and a single source of protein, which can benefit sensitive cats with allergies. 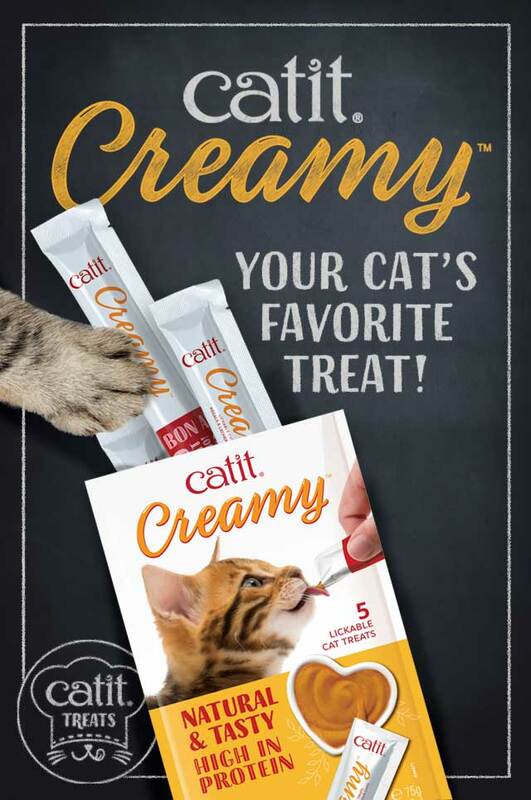 Which flavor is your cat’s favorite? 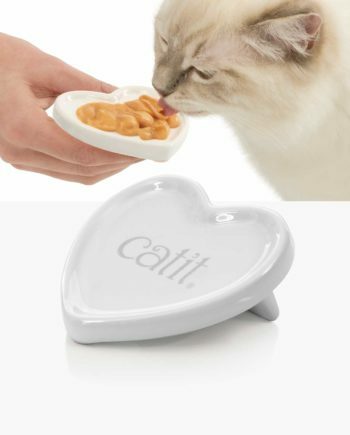 Express your love by serving your cat their favorite treat on the Catit Creamy Heart-shaped Dish. This high-quality ceramic heart dish has a convenient handle and is dishwasher-safe. Ingredients: Water sufficient for processing, chicken, modified tapioca starch, natural flavor, chicken liver, rice bran oil, locust bean gum, taurine. Ingredients: Water sufficient for processing, squid, modified tapioca starch, natural flavor, scallop, rice bran oil, powdered cellulose, cuttlefish powder, taurine. 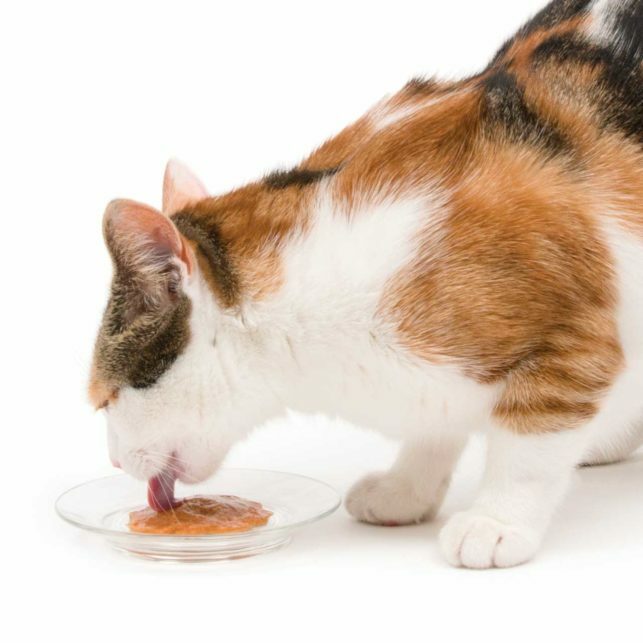 Ingredients: Water sufficient for processing, salmon, modified tapioca starch, natural flavor, salmon oil, taurine.